Disney's MMO theme park Toontown Online may have shut its doors, but a few super-fans are working hard to pry them back open. Toontown Online had a pretty good run, all things considered. The Disney MMO retained a dedicated community for a full decade, until the servers closed last year so that Disney could shift its focus to more active enterprises like Club Penguin. A lot of people were sad to see it go, as many gamers fondly remember it as their first MMO - but it might not be gone for good. 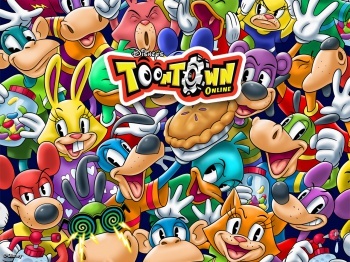 A team of loyal fans is rebuilding the game with an ambitious new name: Toontown Rewritten. Toontown Rewritten is a joint effort by 16 "super-duper fans" of the original game, all of whom are volunteering their time and sometimes money to revive the MMO. Although the original game charged subscription fees for premium accounts, this project is free-to-play; in fact, the team won't even accept donations. "Whether it is legal or not, I don't want to make any money off of Toontown Rewritten," explains 'Sir Max,' the team lead. "Disney originally owned this game, and they deserve all credit for it. We are doing nothing but volunteering to let Toontown stay open a little while longer." "A little while" might be an understatement. The development team is focused on coding the new game to be "built to last," with plans for frequent updates and even entirely new content. Sir Max even hopes that Toontown Rewritten gets enough steam to last another ten years. In the end, though, its lifespan will probably depend on the players. The team is slowly distributing keys to interested players, and will continue to do so until Toontown is ready to open its doors to the public once again.